Ships Usually Berth In The Waiting Area., Ships Whose Draft Exceeds 11.28m, Can Enter The Port During The Tide Only On Condition That The Draft Does Not Exceed 12.19m. Total Capacity 1,5 Million Tons General Cgo,8 Milion Tons Petrolium And Oil Products,1,5 Million Passaengers (Mostly To Saudi Arabia ). Suez Port Is Playing An Important Role In Both Cargo Handling And Suez Canal Transit Operations, Where It Is Situated On The Southern End Of Suez Canal, Approximately 170 Km South Of Port Said. Located In The Northern Part Of The Port ,With Average Draft Of 27 Ft,Quay Length Of 1250 M, Consists Of 8 Berthes Used For Both General Cargo And Passengers. 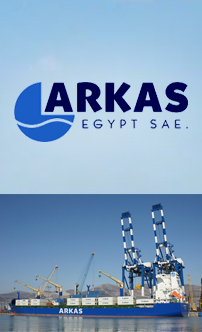 Located In The Southern Part Of The Port, Average Draft Of 24 Ft, Quay Length Of 1080 M, The Terminal Is Connected To The Suez Shipyard Basin, This Terminal Contains Three Berthes For General Cargo And One Berth For Ship’s Repairs. Located At The Western Part Of The Port, With Average Draft Of 24 Ft, Consists Of Five Berthes For Tankers Up To 14,000 Tons And One Outer Deep Berth Of 38 Ft For Tankrs Up To 40,000 Tons. Open Storge Area 23,000 Sq.M.